If you hear from one to five error beeps at startup with no boot chime, you have a hardware problem. The table explains how to troubleshoot and repair an iMac unit that sounds one or more error beeps at startup. No DRAM is installed or detected. Make sure the DRAM are PC-100 SDRAM. Reseat the SDRAM and try again. 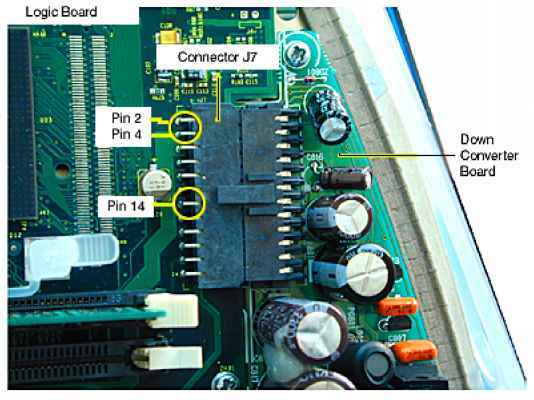 If no SDRAM is present, install a known-good PC-100 SDRAM and try again. If DRAM is present, replace DIMM one at a time, with a known-good PC-100 SDRAM. Do you hear three error beeps at startup? Yes: Replace the existing SDRAM one DIMM at a time with known-good PC-100 SDRAM. No: Go to next step. Do you hear four or five error beeps at startup? Yes: Replace the logic board. No: If you do not hear any error beeps at startup, you have a different problem and should refer to one of the other troubleshooting tables in this chapter.